His music lent an indelible mood to pivotal scenes. Returning to Lou Reed's music, it's easy to fall under the spell of his urbane lyrics, the effortlessly downtown feel of his chord changes, and his vibe as a poet laureate of cosmopolitan ennui. Naturally, many directors have tapped into that power to add a little grit to their work. Below are five of our favorite Lou Reed moments in movies, scenes that simply wouldn't work without him. Rambling and mysterious, David Lynch's neo-noir defies summation: It's essentially about a Los Angeles mechanic (Balthazar Getty) who floats dangerously toward an alluring femme fatale (Patricia Arquette), but that's only the half of it. Lynch sets their initial slo-mo encounter to Reed's cover of "This Magic Moment," laden with buzzing electric guitars and an air of menace. Maybe it seems easy to use a Lou Reed song for a scene of heroin overdose, but don't discount the daring on display here. 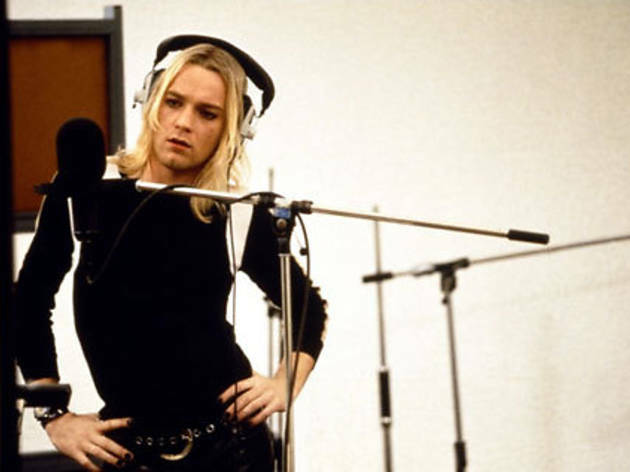 Director Danny Boyle doesn't go for the obvious choice, Velvet Underground's "Heroin," but instead opts for Reed's ominous 1972 ballad "Perfect Day," which adds irony to Ewan MacGregor's surreal descent into numbness—and the carpet itself. Todd Haynes's bittersweet glam-rock fantasia was directly inspired by Reed's public flirtation and artistic collaboration with David Bowie in the early 1970s. 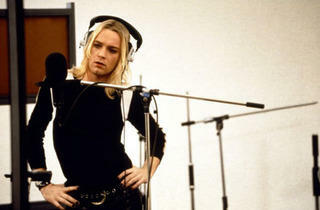 (Iggy Pop is another key source for Ewan McGregor's composite character.) The movie boldy enters the realm of romance in a touching scene set to Reed's "Satellite of Love." Lou Reed wasn't much of an actor, but he didn't need to be in Wayne Wang and Paul Auster's winning slice of Brooklyn life, a film that was wholly improvised. As the "Man with Strange Glasses" standing behind a liquor shop's counter, Reed delivers a code of city living: "I'm scared 24 hours a day, but not necessarily of New York." It's tempting to see this as the real Reed. Jesse Eisenberg grapples with family dysfunction (and a serious plagiarism problem) in Noah Baumbach's touching comedy, one with a climactic emotional breakthrough set to Reed's 1978 "Street Hassle." It's to this churning piece of music—specifically the subsection "Waltzing Matilda"—that the movie closes. In this clip, Reed's piece starts at the two-minute mark.